Like eczema, asthma is an inflammatory disease. In asthma the airways become constricted by swelling, making breathing difficult. 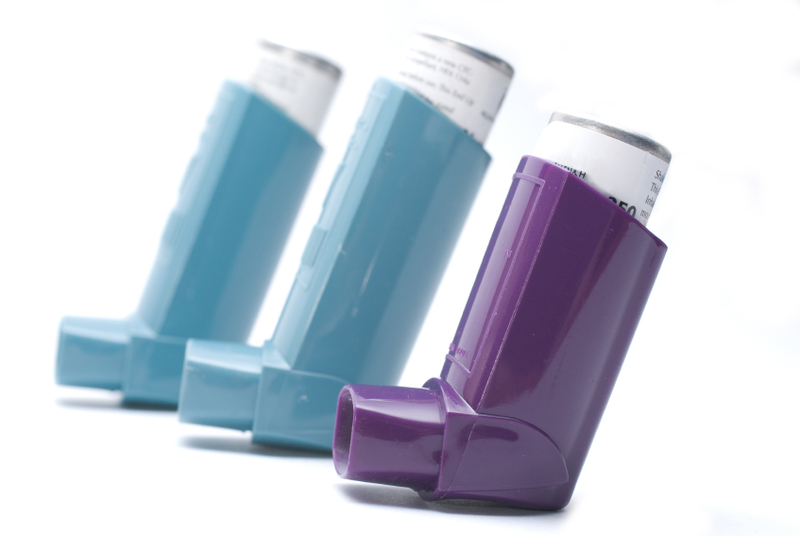 In developed countries 1 in 4 children have asthma as opposed to 1 in 18 people 40 years ago. Corticosteroids such as Flixotide and Pulmicort in the form of puffers are widely used to treat asthma but these pharmaceutical drugs do nothing to change the progression of the disease. A broader, nutritional and environmental approach is required, and when combining this approach with Homeopathy, significant improvements or cures can be achieved. According to a study published in the New England Journal of Medicine, there was no difference in rates of asthma or morning breathing between those individuals using their medications daily as prescribed, and those using them intermittently. (1) This study suggests that daily use of corticosteroids may not be necessary and this is good news as these medications have some serious side effects. These longer term side effects include reduction of 1 inch of height per year in children and loss of bone density in later life. This does suggest that it would be worth exploring with your GP whether you can safely reduce the use of your puffer. An effective approach to asthma treatment is to reduce the total ‘environmental load’ that an asthma sufferer is experiencing. This includes identifying food, chemical and environmental allergens, decreasing inflammatory agents in the diet, and reducing stress which is a well established asthma trigger. Reducing this load as well as introducing important nutritional and Homeopathic measures can have a highly positive effect on an asthma sufferer, sometimes eradicating asthma altogether! • Increase your antioxidants intake of fresh fruit and vegetables especially increase your intake of broccoli, apples, berries, peppers (capsicum) and citrus fruit. • Antioxidant vitamins such as Vitamin C and A have been shown in studies to have some positive results and I suggest combining them with Vitamin E and Selenium. • Take an MSM supplement as it decreases allergic responses and provides intestinal flora with the requirements to make anti-allergy and anti-inflammatory amino acids. Homeopathic medicines can be a viable alternative to steroid medications. They can be given as an acute treatment in place of puffers but more importantly, Homeopathic professional treatment working with the whole person can cure asthma entirely. Please remember that although you may be keen to try some natural and effective alternatives, you must consult your doctor before you take any steps to reduce your asthma medications. When treating asthma patients I always wait until significant positive changes are observed and then suggest the patient pays their GP a visit to discuss whether a reduction in medications might be viable. The following medicines are a few of the many Homeopathic prescriptions for an acute asthma episode. If one of these medicines fits your asthma symptoms, you will find it highly effective. If you can’t find a good fit here see your local Homeopath (or book a skype consult with me) because there are too many options to include in this post! This is a good asthma remedy for children and the elderly particularly when the asthma has been caused by an infection such as bronchitis or obstructive pulmonary disease. The cough will sound wet and there will be coarse rattling in the chest on both inspiration and expiration. The patient will be worse lying down and at night generally.They may be irritable and want to be left alone. Use Apis for an asthma attack in an acute allergic reaction. Breath feels tight and painful with dry wheezing. The patient will feel better in open air and much worse for heat or hot drinks. Severe acute attacks of wheezing with significant belching and flatus. patient feel very weak and may collapse. Short, dry asthmatic cough with a wheeze. use this medicine when every infection goes to the chest with a wheeze and cough. Worse in the morning, at twilight and especially at 10pm or with sudden changes in temperature. Better for lying on the right side. This patient has both forms of asthma: wet acute infections with greeny discharges and also allergic asthma (often hayfever related). In both cases the patient must sit up during the asthma crisis and is better for fresh air. Even fanning may help them feel better. Asthma worse in damp conditions often with morning diarrohea. If you try one of these Homeopathic medications because it describes your asthma well, you are in danger of seeing a significant improvement in the frequency and severity of your acute attacks. For complete overall improvement or cure you need to book in with your local experienced Homeopath. My son has , what the doctor calls, a slight case of asthma. I’m trying to change his diet in an effort to help his condition long term, but my wife and I can’t seem to agree on the need for dairy products in his diet. Please advise. Thanks. There is considerable clinical experience that suggest that dairy products can in some cases be an aggravating factor for asthma. To determine if your son is aggravated by dairy it would be wise to eliminate ALL dairy products for a minimum of 3 weeks then reintroduce them to see what happens.